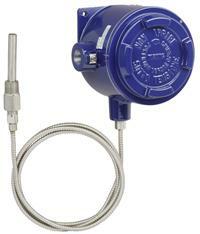 Temperature switches are ideal process devices in various industrial sectors. The high quality guarantees high levels of availability and they are ideal for Safety Instrumented Systems (IEC 61508) as well as for process control. 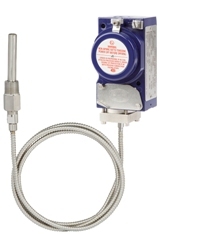 The instruments are ATEX certified. GOST R certificate is available. NACE, Off-shore, Tropical, Ammonia execution and special wetted materials are available. It is ideal for application in harsh and high explosion risk environments, where space is at a minimum, such as offshore oil rigs and process and energy applications. It is ideal for installation in electrical cabinets as well as on rotating machines, due to its compact and square shape. 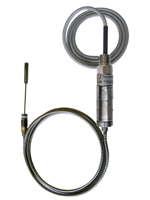 It is ideal for operation in harsh environments and where the highest level of repeatability is essential. Classification of the thermal system is SAMA III B.